Find Out the Cause of Your Springtime Ocular Allergies! Matossian Eye Associates (MEA) is pleased to offer Allergy Matrix Testing. If you suffer from red, itchy, watery, puffy eyes, or if you suspect you have ocular allergies, please inquire! With a quick and painless skin test with no needles, we can identify your specific ocular allergens and customize a treatment plan for you. You may finally discover the culprit of your eye allergies and get some relief! Allergy Matrix testing can be scheduled with any of MEA's board-certified ophthalmologists. It is covered by insurance. Please click the video below for a demonstration. 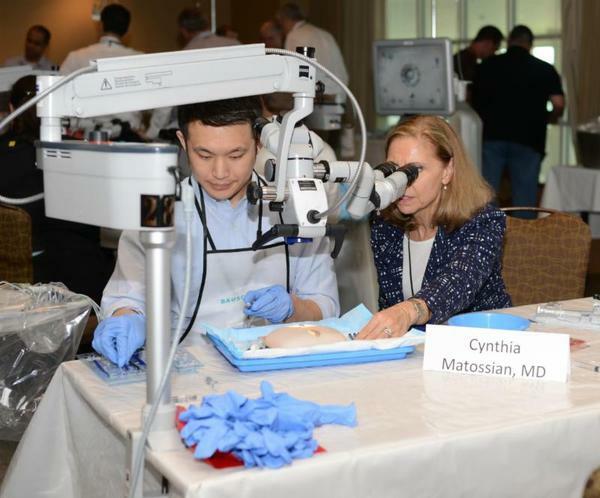 Twice a year, Cynthia Matossian, MD, FACS participates as a featured faculty member at the weekend-long surgical mentor resident program sponsored by Bausch + Lomb for ophthalmology residents and their attendings from academic programs all over the U.S. This event is designed to teach cataract surgery techniques through both a didactic and a wet lab hands on experience. Each year, thousands of people are blinded by sports-related eye injuries. 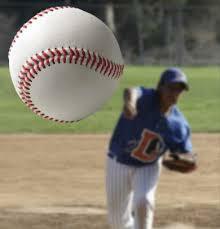 In support of Sports Eye Safety Month this April, Matossian Eye Associates reminds coaches, parents, and athletes to make sure to use proper eye protection while taking part in athletic activities. Eye injuries resulting from athletic activities range from the relatively minor corneal abrasions (scratches on the surface of the eye) to the more serious, potentially blinding injuries, such as an orbital fracture (bones around the eye are broken) and detached retina (when the light sensitive part at the back of the eye is pulled away). Fortunately, 90 percent of eye injuries are preventable by wearing protective eyewear. 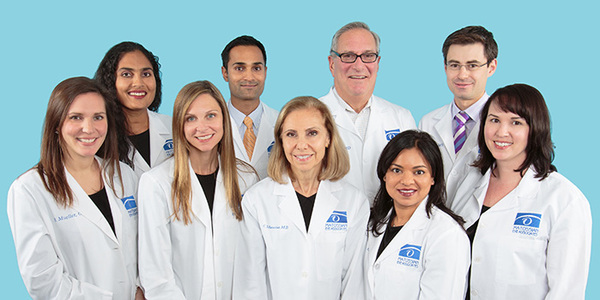 Cynthia Matossian, MD, FACS is the first surgeon in New Jersey to use the new ZKBOO Low Add Tecnis Multifocal Intraocular Lens for cataract surgery. The Tecnis ZKBOO, developed by Abbott Medical Optics (AMO), is the first and only FDA-approved wavefront-designed optic that rejuvenates vision by correcting spherical and chromatic aberrations. 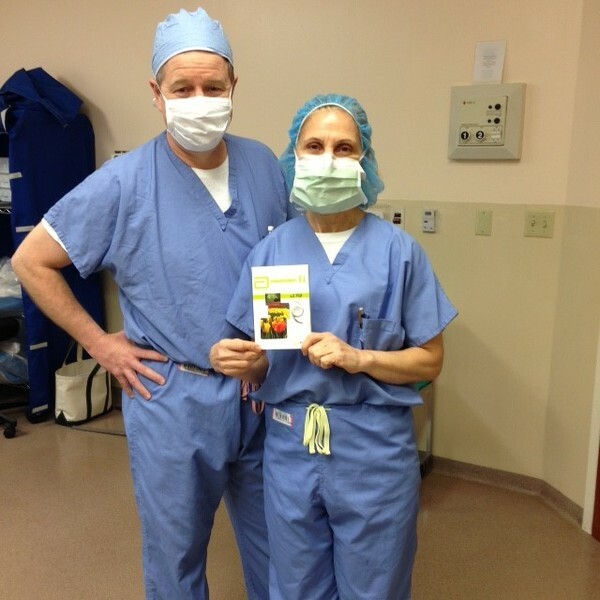 Dr. Matossian was accompanied by AMO's David Schaeffer for her first use of this cutting edge implant technology. Sjögren's Syndrome is among the most common and underdiagnosed autoimmune diseases. It affects approximately 4 million people in the US, of which 3 million remain undiagnosed. There is an average delay of 4.7 years for patients to receive an accurate diagnosis. Earlier detection is vital to allow time for proper management. 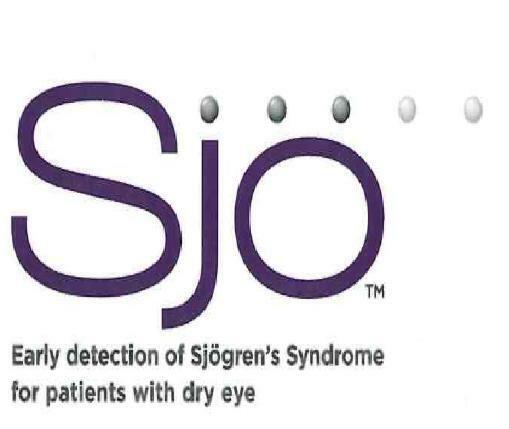 Matossian Eye Associates (MEA), as a Certified Center of Excellence for Dry Eye, is in a unique position to detect the early stages of Sjögren's Syndrome, since dry eyes are one of the early hallmarks of the disease. MEA hopes to enhance the lives of the 1 in 10 estimated dry eye patients who may be suffering from Sjögren's Syndrome with a simple in-office test named Sjö™. Sjö™ is a proprietary laboratory test developed by Immco Diagnostics, Inc. If you are interested in being tested for Sjogren's Syndrome, please call our office today to schedule a consultation. BlindAlive™, founded by Mary Ellen Scott, is a company that provides fitness workouts and exercise programs for the blind and the visually impaired. The idea for BlindAlive™ came to Mary Ellen, who is blind, when she would buy various workout DVDs, only to discover that she often could not complete the exercises. She found that the instructors would not adequately describe the required movements, making it impossible for her to work out with these DVDs. BlindAlive™'s mission is to create "Eyes-Free Fitness™," by creating top-quality, well designed fitness programs that are accessible to the blind and to the visually impaired. They employ certified fitness instructors who describe each exercise so that even non-sighted individuals can follow the movements. Each fitness program has been tested by low-vision and blind individuals. 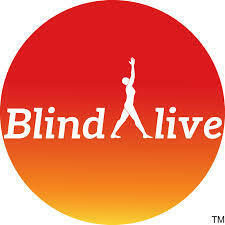 To find out more information about BlindAlive™ and to listen to some of the exercises and workouts, please visit http://www.blindalive.com/. 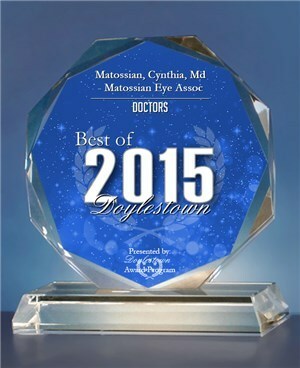 Cynthia Matossian, MD, FACS was recently honored by being selected to receive the 2015 Best of Doylestown Award in the Doctors category by the Doylestown Award Program. Each year, the Doylestown Award Program identifies companies that they believe have achieved exceptional marketing success in their local community and business category. These are local companies that enhance the positive image of small business through service to their customers and our community. These exceptional companies and individuals help make the Doylestown area a great place to live, work, and play. Congratulations, Dr. Matossian! Matossian Eye Associates participated in a mock consulting project for graduate MBA students at local Rider University who were competing in the Small Business Institute Consulting Project of the Year. Students were required to meet with their "clients," and create a consulting contract and proposal based on their analysis. Their proposal included recommendations for public relations and brand management. The graduate team went on to place first in the national competition! 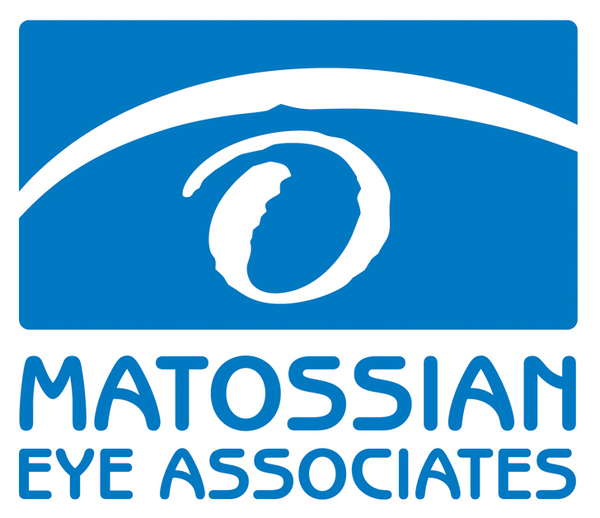 Matossian Eye Associates was glad to facilitate this opportunity for these local students. Is Your Dry Eye Therapy Enough? If you are already taking Omega 3 fish oil supplements and/or using Restasis® eye drops but are still having eye discomfort with a scratchy feeling and a sensation of 'tired' eyes, we offer the Intense Pulsed Light Treatment (IPL). This is a short, in-office procedure that helps treat the root cause of the dry eye condition. Below, Cynthia Matossian, MD, FACS discusses the procedure of IPL and shares her experience treating Dry Eye Disease. To view this video, please click the image below. An IPL consultation can be scheduled with any of our doctors to see if you are a candidate. The IPL treatments are performed by Cynthia Matossian, MD, FACS. We now have a safe and effective treatment that targets the causes of chronic Dry Eye Syndrome to provide you with your long-awaited relief. 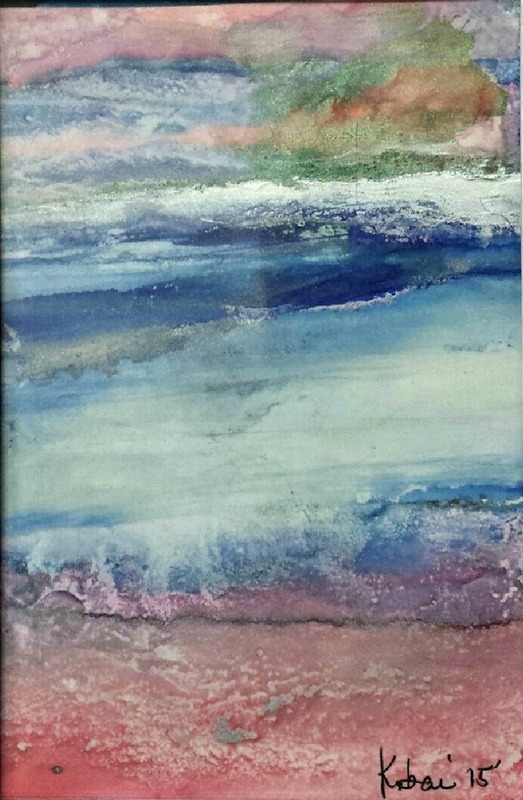 Matossian Eye Associates' Local Artist Program exhibited two artists from January through March of 2015. Kathy Barclay's artwork decorated the walls in our Hopewell, NJ office while Peter Hunt's artwork was displayed in our Doylestown, PA office. As part of our Local Artist Program, a Peoples' Choice Award selection takes place to engage our patients with the artwork. Ballots are placed in the reception areas and patients are asked to vote for their favorite painting. After counting the votes, our patients declared the paintings "Tyler State Park" by Peter Hunt in Doylestown and "Red and Grey" by Kathy Barclay in Hopewell the winning choices. Kathy Barclay "Red and Grey"
Our newest exhibits will extend through the end of June. Lalena Lamson is featured in our Hopewell, NJ office and Anita Nyari is featured in our Doylestown, PA office. Local artists sign up to display their artwork in our reception areas for a three month period, with all proceeds of each sale going directly to the artist. If you are interested in displaying your artwork as part of our Local Artist Program, please contact Dan Rue at drue@matossianeye.com. Surprisingly, it is now over eight years ago since I closed my own Ophthalmology practice in Doylestown and joined MEA in semi-retirement. During this time Carol, my wife of forty-seven years, and I have seen our family grow by six grand children, two each for our three daughters and "sons." We travel A LOT all over the world and have learned so much. I still enjoy tennis and bicycling. Last year I participated for the fourteenth time in the Multiple Sclerosis City to Shore 160 mile bicycle ride. 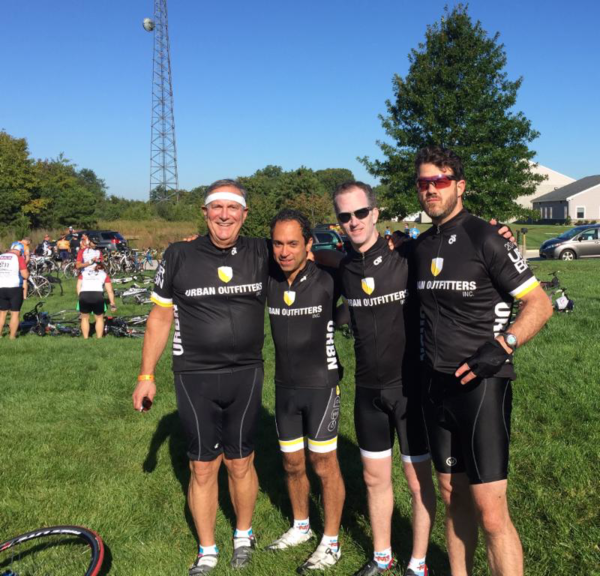 The last two years I rode together with our three sons. Most of all, I enjoy each and every moment with my family, my friends and my patients. Joan Micucci, COMT spoke on "Diabetes and the Eye" to the Doylestown Diabetes Support Group on April 8th, 2015. Cynthia Matossian, MD, FACS will be speaking on the ReSure® Sealant and the latest advances in Toric Intraocular Lens Implants at the upcoming meeting of the American Society of Cataract and Refractive Surgery in San Diego, CA. "Subconjunctival Sirolimus in the Treatment of Autoimmune Non-necrotizing Anterior Scleritis: Results of a Phase I/II Clinical Trial," American Journal of Ophthalmology, March 2015, please click here to read the article. "Interdisciplinary Meetings Help Improve Treatments," Ophthalmology Management, January 2015, please click here to read the article. "Cassini Case Study," i-Optics, March 2015, please click here to read the article. "We Spell Success F-R-O-N-T D-E-S-K," Ophthalmology Management, March 2015, please click here to read the article. "Does Your Practice Have a 'Red Eye Room'?" 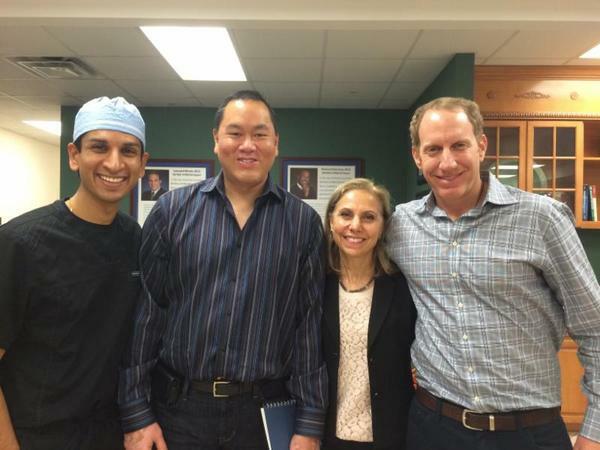 Ocular Surgery News, March 2015, please click here to read the article. "It Takes a Practice," Ophthalmology Management, April 2015, please click here to read the article.